Ruthie here with Arizona Oriental & Specialty Rug Care and I thought I would talk about various reasons why someone might choose to have their area rugs cleaned a few at a time rather than all at once. Some folks are lucky and fortunate enough to fill their homes with many beautiful rugs (wonderful art for their floors). Some of those folks decide that it’s better to just get them all cleaned at once and be set for a while, while others have considerations that pace this process. The home may seem a bit naked when the Persian and silk rugs are taken away all at once. Frequently my clients tell me how much they have missed their rugs during the time the rugs are being cleaned at Arizona Oriental’s facility. After all, rugs are to the home like lipstick is to a woman’s face. Those finishing touches means so much to your beauty, and in this case to the beauty of your home. We all know that Prescott is a retirement area. Often, this means people are living on fixed incomes. It’s important to retirees to pace their home’s maintenance. Arizona Oriental is more than happy to rotate rug cleaning for our clients, ensuring that it is affordable to properly care for their beloved rugs. Some of my new clients are anxious about giving their beloved rugs to a cleaning service so they will “test out” my service. This allows them to make sure that we do a great job at cleaning one of their rugs before they go ahead and have all of their rugs cleaned. Usually, these are folks who have had a bad experience elsewhere. Once burned, a client is twice cautious. This type of client has a strong understanding of how an uneducated cleaner can ruin a rug with disasters like dye bleed, odors, shrinkage, etc. For the very cautious client, it makes sense to clean one rug in the beginning so they can see for themselves that Arizona Oriental will take fantastic care of their beloved rugs. We’re a WoolSafe Service Provider that they can trust. Once any worries are alleviated, these clients then proceed with cleaning the rest of their wool and silk area rugs. Whatever your concerns or reasons, we understand! 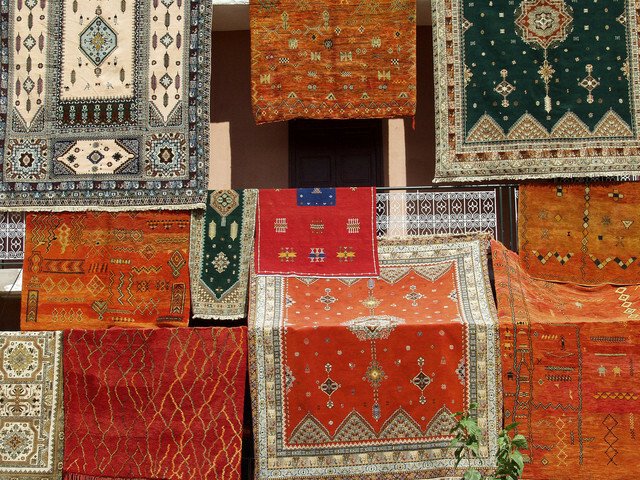 We will be here for you when you need us, be it for cleaning one, two, or twenty rugs.